In its early days, Amtrak faced the challenge of informing the public about its services - including routes, destinations, equipment and onboard accommodations. 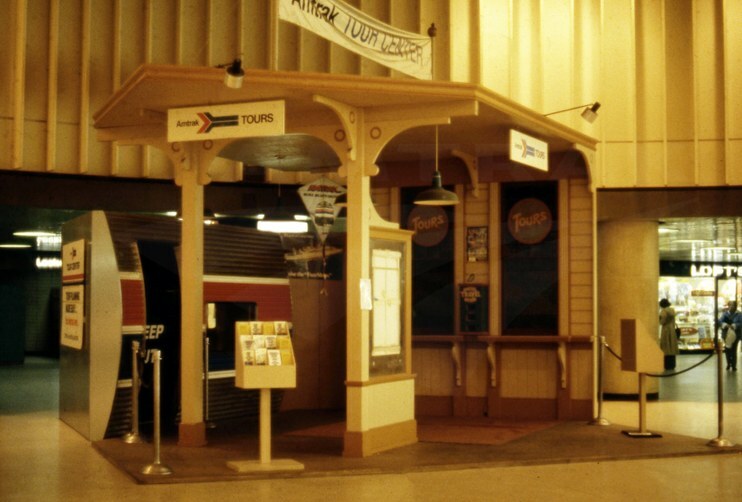 To educate travel agents who sold rail travel, Amtrak used resources including the mobile Travel Center shown below. Amtrak's mobile Travel Center, complete with a dining car set-up, helped the company educate travel agents about its services. The image was recently found in the Amtrak Archives. A description on the photograph notes, “Amtrak sales personnel have taken to the highways with a specially outfitted 27-foot-long motor home designed to bring the message of what train travel is to the thousands of travel agents across the country. The travel center shows train interiors, a slide show and a dining car set up, and stocks all the literature and forms needed to help travel agents sell rail travel." The first Amtrak service mark, a motion-oriented graphic featuring the national colors of red, white and blue, is displayed prominently on the vehicle's side. This original mark was used from 1971 until 2000 when the current version – a blue wave design meant to “suggest movement, the delight of a journey and the excitement of new technology” – came into use as part of a larger brand refresh. Over the years, Amtrak developed various methods to help travel agents learn about its trains and accommodations. A simple tool was a flip book with a national system map and pictures or drawings of the interiors of sleeping, dining, café, parlor, observation and lounge cars. They often included basic descriptions. One flip book in the archives details the features of Heritage, Metroliner, Amfleet and Superliner equipment. Amtrak often staffed a booth at the American Society of Travel Agents annual conference. According to the April 1, 1977 issue of employee magazine Amtrak NEWS, a tour desk designed and built for the 1976 conference held in New Orleans won first prize. It mimicked the appearance of a classic ticket desk found in depots across the country and included a cut-away of a new Amfleet car. Afterwards, it was altered and set up at New York Penn Station to promote and sell tour packages. Specially trained ticket agents told customers about the Week of Wheels program in Florida, the U.S.A. Rail Pass and round trip special fares between New York and Montreal on the Adirondack. 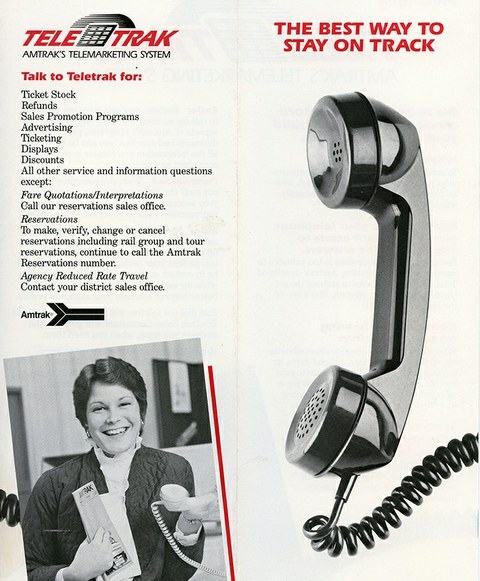 In September 1984, Amtrak launched Teletrak, a computerized telecommunications program meant to ease communication between travel agents and Amtrak sales consultants. With a simple phone call, agents could learn about ticketing, discounts, advertising and other topics from expert Amtrak staff. In the following year’s annual report, the company noted that “any travel agent who sells airline tickets will have the capability of making a reservation and selling Amtrak tickets [by] using the facilities of the Airlines Reporting Corporation.” This almost doubled the number of travel agency locations at which Amtrak customers were able to purchase Amtrak tickets and tours. Teletrak let travel agents reach Amtrak sales consultants with a quick and simple phone call. Amtrak also recognized top-selling travel agents through the creation of the Golden Spike Society in 1976. “Warren Peters of Four Winds Travel in New York was honored as the top seller of Amtrak business with the first membership in the group. [An additional] 499 agents [subsequently] received their certificates in a series of lunch and dinner meetings held around the country,” noted an article in that same issue of Amtrak NEWS. 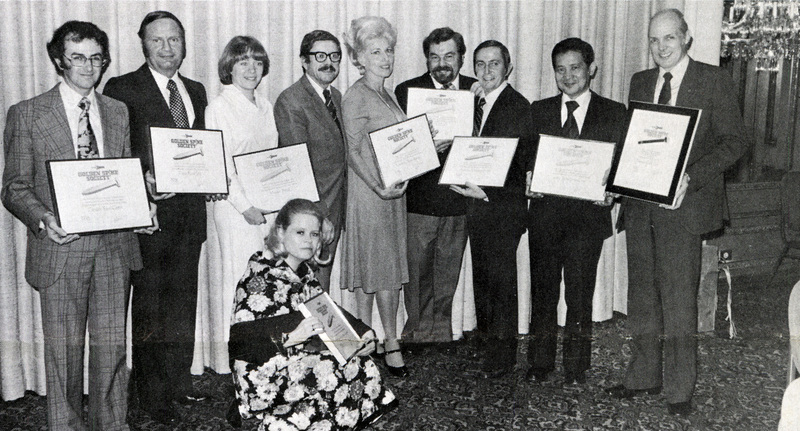 Based on the success of the society, Amtrak later created an international branch to recognize foreign travel agents who successfully sold Amtrak travel. Amtrak continues to work closely with travel agents in the United States and around the world to promote intercity passenger rail travel and the more than 500 communities served by our 300 daily trains. The company is moving to new business-to-business web based booking platforms that enable all of the services – eTicketing, the ability to access reservations across platforms, ease of changing reservations – our travel agency partners look for. inducted into the Amtrak Golden Spike Society in spring 1977. Popular packages booked by travel agents through Amtrak Vacations include stays at national parks, particularly out west. 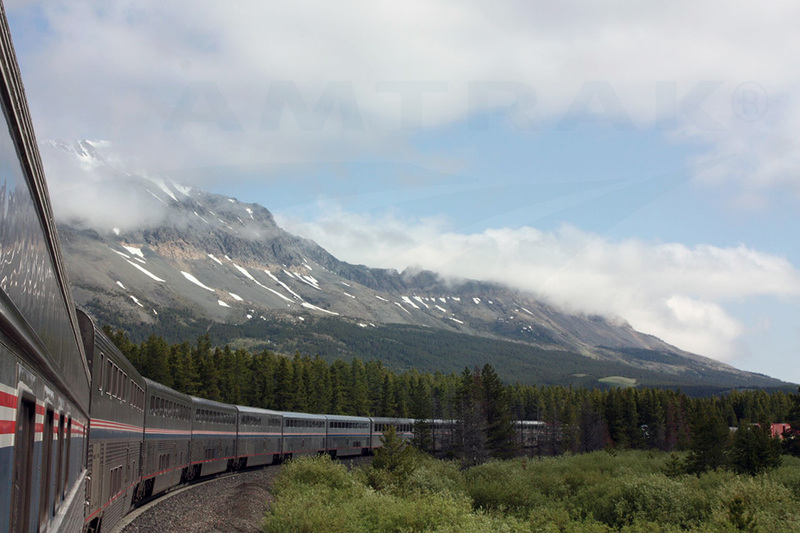 Approximately 200 national park system units, including Big Bend National Park near Alpine, Texas, (Sunset Limited/Texas Eagle), Rocky Mountain National Park near Granby, Colo. (California Zephyr) and Glacier National Park (Empire Builder) are easily accessible from Amtrak stations. Travel agents also book individual travel segments, multi segments and create their own packages using Amtrak for all or part of the passenger experience. Some travel agencies specialize in corporate and government travel, especially in the Northeast and other regions where major business, government and cultural centers are linked by frequent train service. International tour agency partners arrange packages for travelers who want to see America in a fashion only available from a train. As of 2016, the largest international markets are England, Canada, the Netherlands, Australia, Germany and France. Popular trains booked for foreign visitors include the Northeast Regional and Acela Express between Washington, New York and Boston, as well as the Coast Starlight, California Zephyr and Empire Builder, all of which offer breathtaking views of varied natural landscapes, bustling cities and quintessential small towns. Vacation packages to Glacier National Park and other western parks are some of the most popular booked by travel agents. 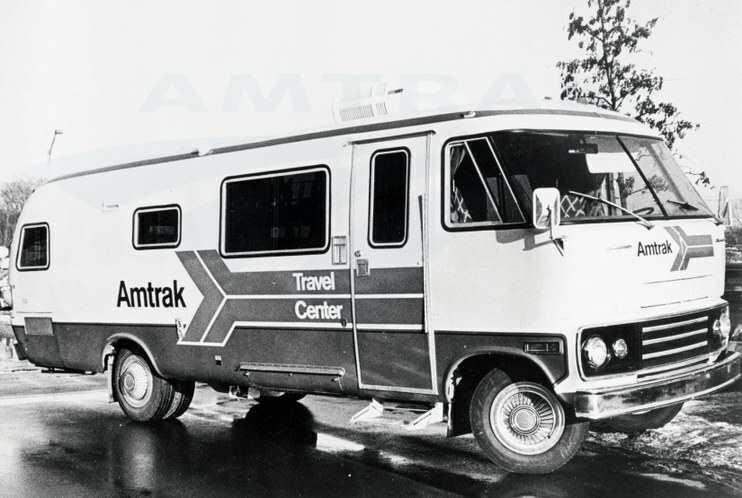 The Amtrak Archives is seeking additional information on the mobile Travel Center. Did you ever tour it, or were you an Amtrak employee who worked on the van? We’d like to hear from you. Feel free to post in the comments section below or write to us at history@amtrak.com.